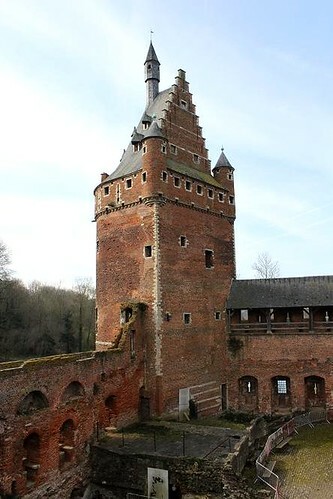 Beersel Castle, located in the South of Brussels, was built by Godfried van Hellebeke between 1300 and 1310. 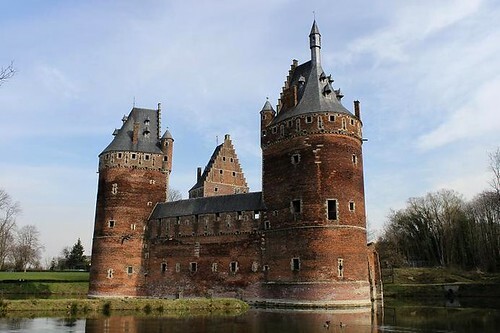 It has 3 massive watchtowers and is surrounded by a wide moat. 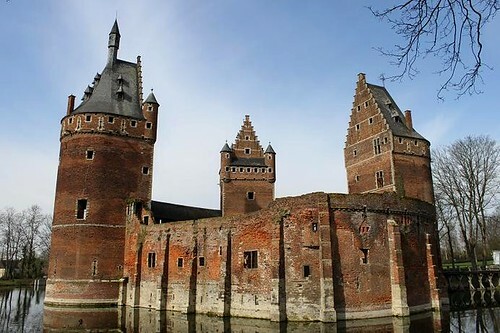 The castle was only conquered once in its existence, by the troops of Brussels in the rebellion against Maximilian of Austria in 1489. 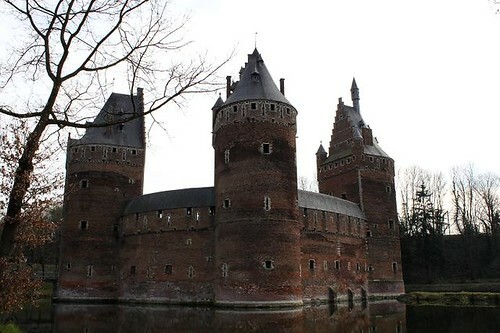 The castle passed through several owners and was even occupied by a cotton factory in 1818. 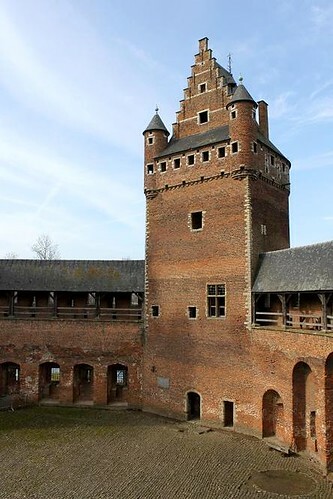 In the 20th century, Beersel Castle was donated to an association for the protection and preservation of historical monuments. 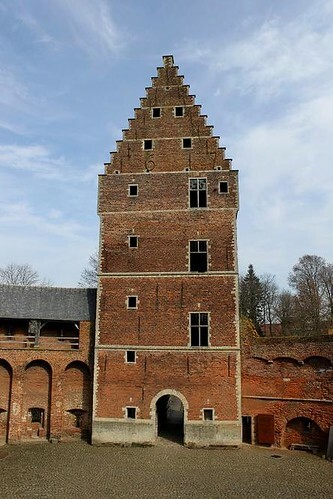 It's open for visitors every day(except Mondays) from 10:00 to 12:00 and 14:00 to 18:00. View location in Beersel, Belgium. 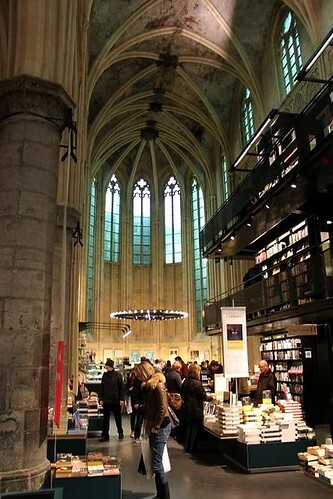 According to the Guardian, the Selexys Dominican in Maastricht is the most beautiful bookshop in the world. 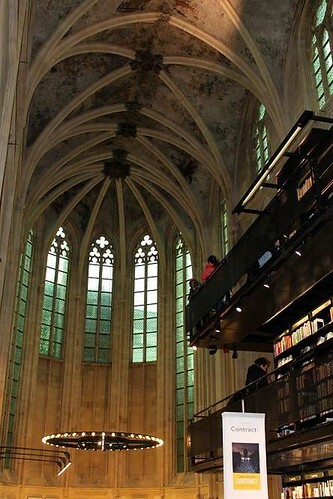 Located in a former Dominican church, the shop was designed by Dutch architects Merckx + Girod. For their design they received the prestigious Lensvelt de Architect Interior Prize 2007. The bookshop has a wide range of popular books and books for professionals. 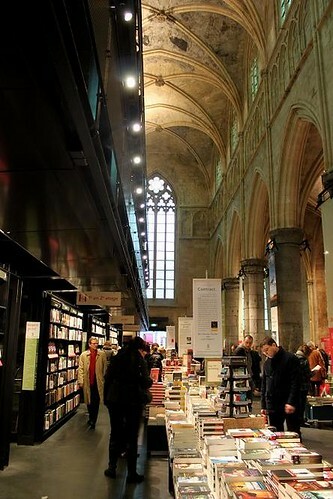 It also holds the largest stock of books in English in Maastricht. Besides books it's possible to enjoy a coffee or lunch at the bookshop’s Coffeelovers café. View location in Maastricht, the Netherlands. 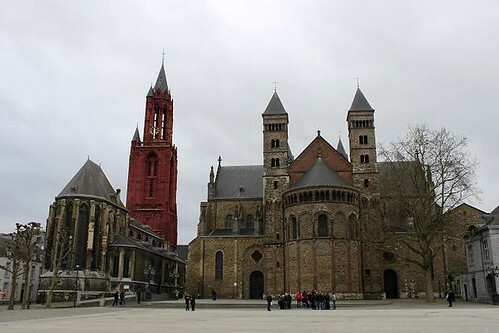 The St. Servatius Basilica is located at the Vrijthof in Maastricht, next to St. John's Church. 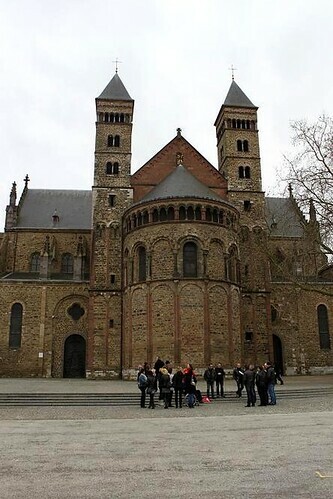 The basilica was built on the grave of St. Servatius, the patron saint of Maastricht. 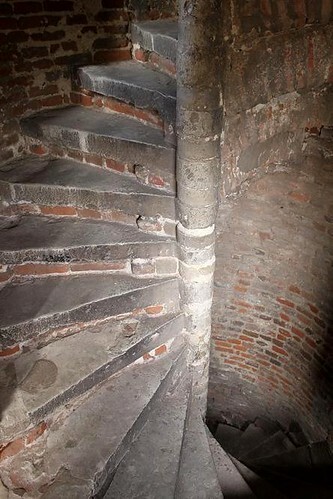 Its inner Romanesque part dates back to the year 1000, the outer Gothic structure was constructed in the 14th and 15th centuries. The Treasury of the St. Servatius Basilica houses an impressive collection of religious art and artifacts. The main relics are the Noodkist(a decorated wooden chest) and a portrait bust of St. Servatius. 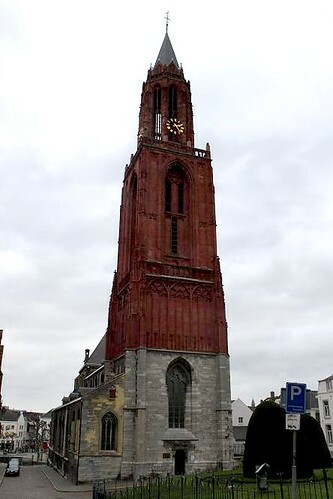 The Gothic St. Janskerk (St. John's Church), with its distinctive red tower, was built in the 13th century. 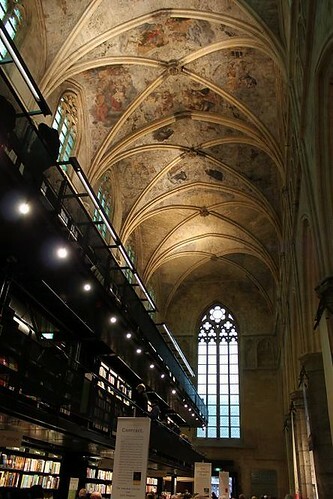 It's located next to the St. Servatius Basilica and was given to the Protestant congregation of Maastricht in 1633. The church has an unique pulpit, beautiful wall paintings and a magnificent organ. 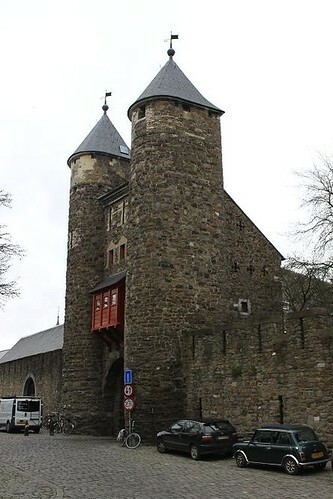 Its tower is open for visitors and offers a splendid view of Maastricht. 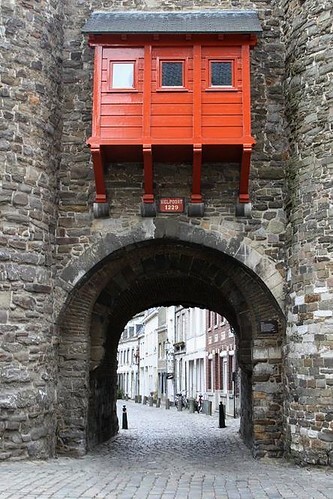 Constructed in 1229, Hell's Gate is the oldest city gate in the Netherlands and the only remaining city gate in Maastricht. 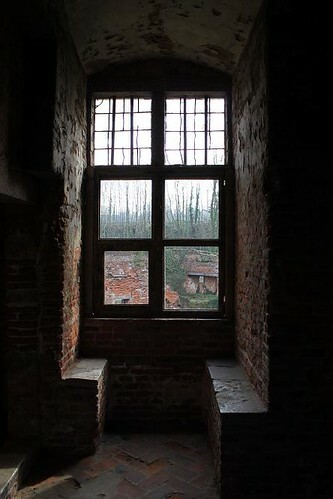 It probably received its name in the 18th century from the fires of the blacksmith who was located nearby. 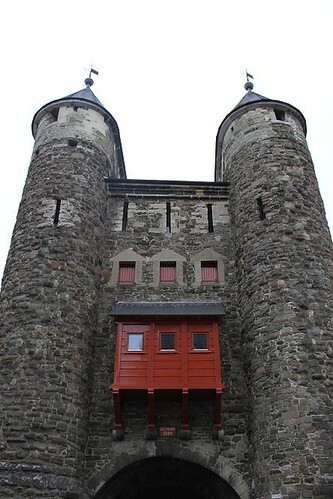 Hell's Gate was used for various purpuses: an armoury, a powder storehouse and a residence. 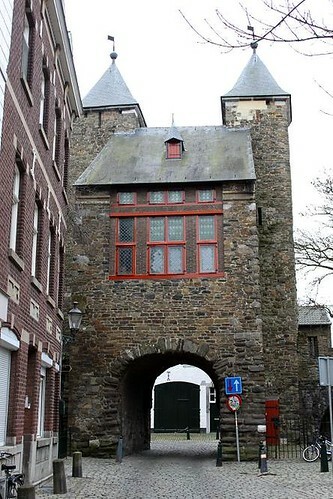 Today the gate houses a museum dedicated to the history of Maastricht's fortifications. 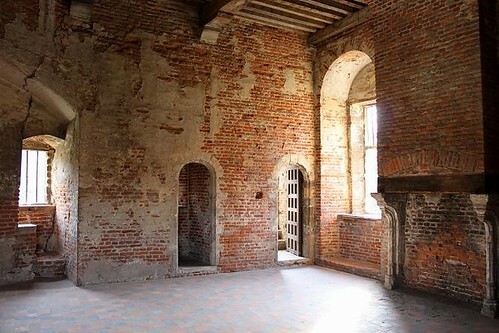 The Dinghuis was built in the 15th century and originally served as a courthouse. The name Dinghuis derived from the Dutch word 'geding', which means trial. 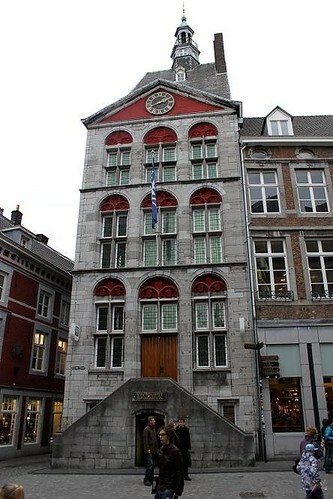 For a long time the courthouse was the highest building in Maastricht. A watchman was stationed at the top of the tower who had to alarm the citizens if there was a fire. Nowadays the Dinghuis houses the Tourist Information Office. 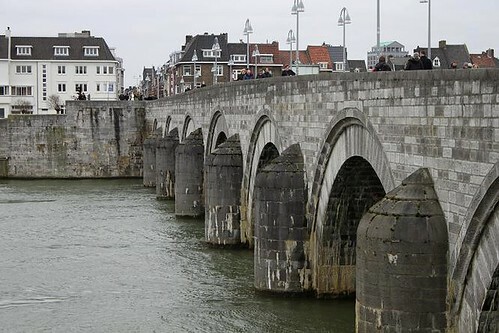 Built at the end of the 13th century, the St. Servaas bridge in Maastricht is the oldest bridge in the Netherlands. 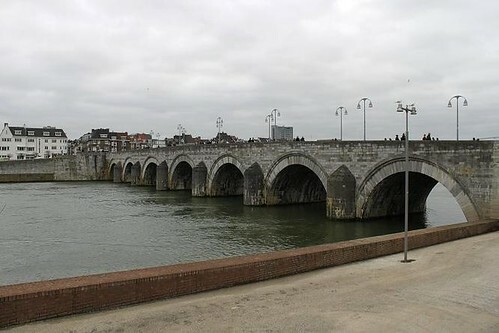 It replaced a Roman bridge which collapsed in 1275. After 1932, it received the name of the Patron Saint of Maastricht. Until that time it was the only bridge in the city and it was not necessary to give it a name. Only pedestrians and bicycles are allowed on St. Servaas bridge, but it sees daily traffic due to its central location. 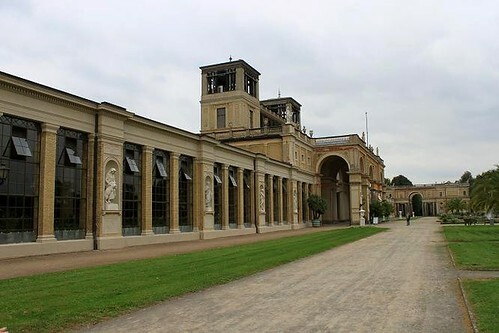 The 300 m long Orangery was the last building erected in Park Sanssouci. 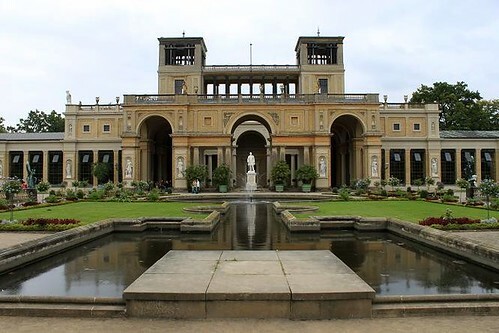 Ludwig Persius and Friedrich August Stüler drew the plans, influenced by King Frederick William IV interest in buildings of the Italian Renaissance. 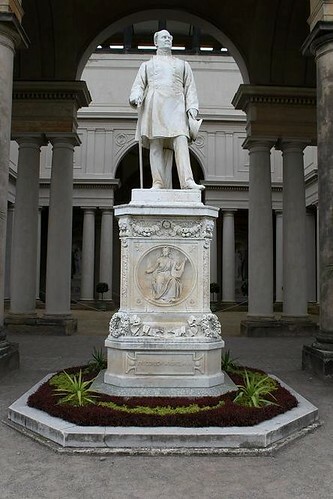 Construction started in 1851 and was finished in 1864. The long wings of the Orangery contain glass houses which still provide winter storage for large potted plants. In the centre of the building is the Raphael Hall. This hall houses a collection of almost 50 paintings, copied from Raphael's work. 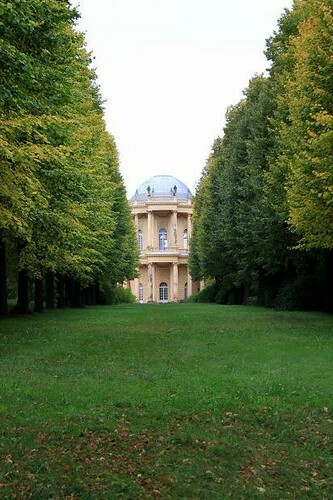 The Belvedere on Klausberg hill was the last construction that Frederick the Great had built. The word 'Belvedere' means a pretty view, its name was chosen because of the nice view the building offered over Park Sanssouci. 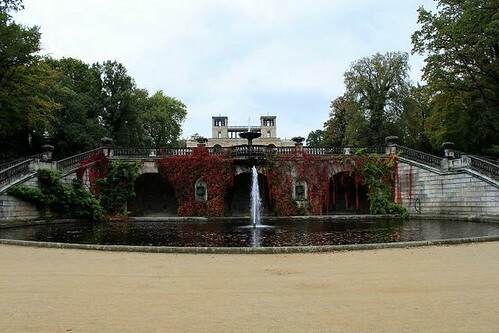 Architect Georg Unger designed the Belvedere between 1770 and 1772. 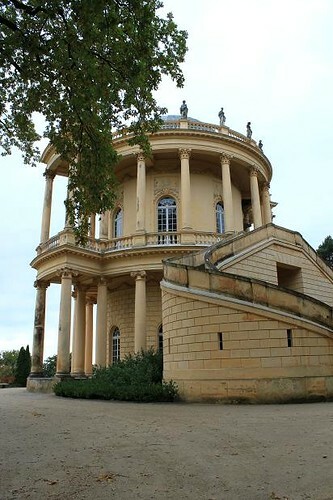 It was built on a round floor plan, the pavillon is surrounded by two levels of columns. The dome at its top is decorated with figures of some divinities.